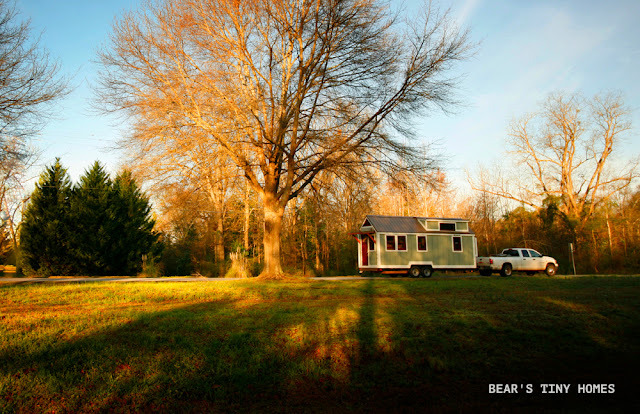 From Bear's Tiny Homes is this cozy, cabin-style tiny house on wheels! Named the "Highland", the home has a warm all-wood interior. 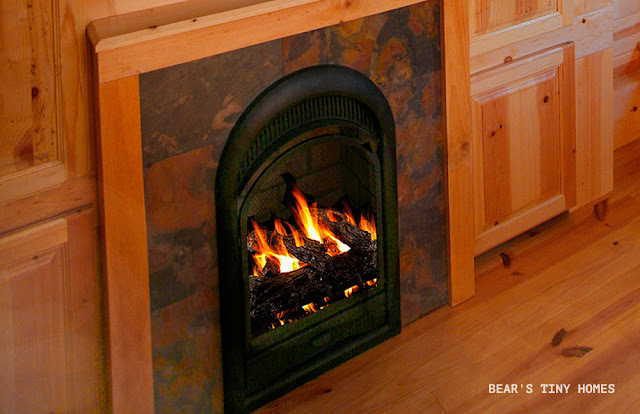 Its living room features with a flatscreen TV and a fireplace- a must for any cabin! 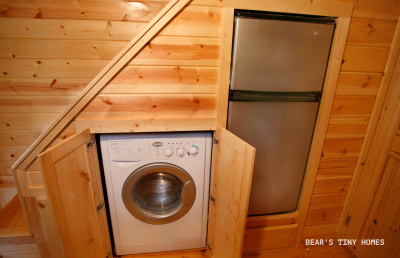 The home's galley-style kitchen features a microwave, sink, plenty of storage, a three-burner stove, dishwasher, and a stainless-steel fridge. 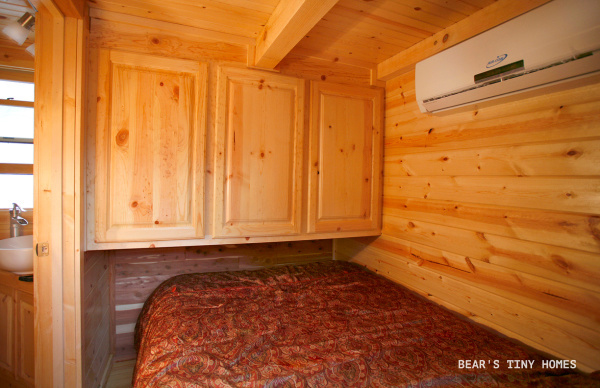 The Highland comes with two bedrooms- one on the ground floor, right next to the bathroom, and a loft bedroom, accessible by stairs. 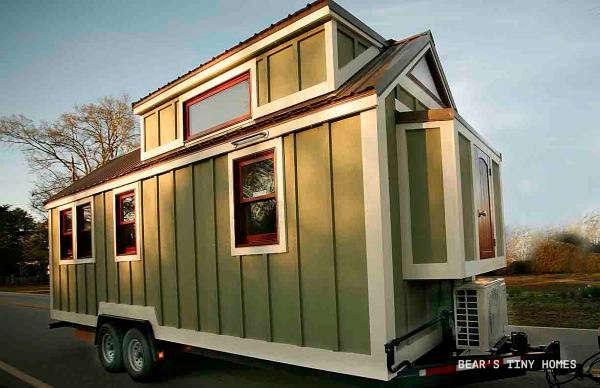 There's also a small front porch which adds a nice, intimate space to relax outdoors. 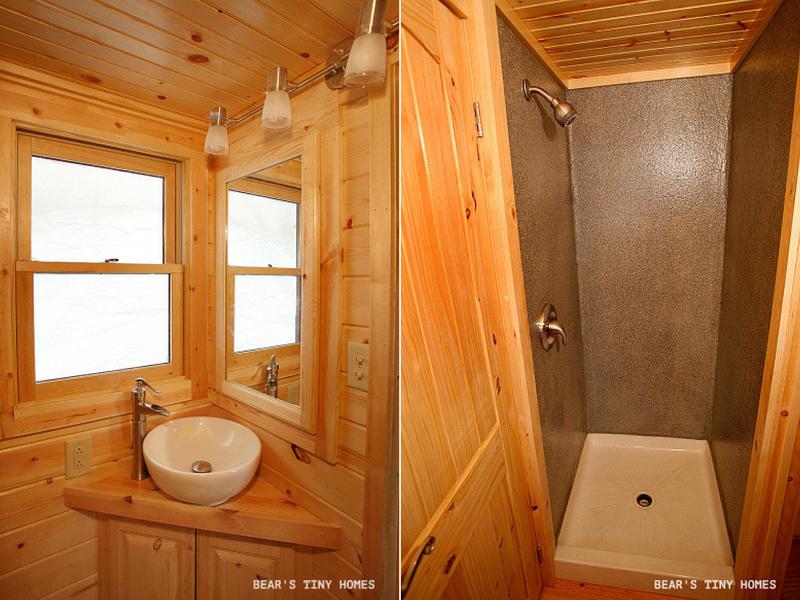 For more info and/or inquiries contact Bear's Tiny Homes here!